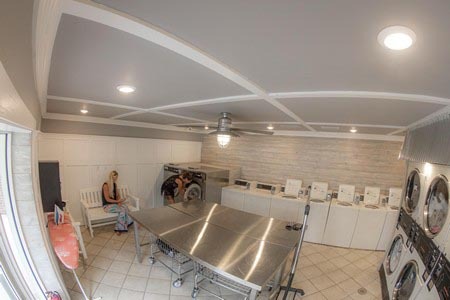 Our commercially-equipped Laundry Facility was renovated May 2016. You’ll find it center to the camp ground open 24 hours a day. There are three Bath Houses on site — one at each end of the camp grounds and one in the center. They have recently been renovated and you’ll find them clean and comforting after a day on the beach. 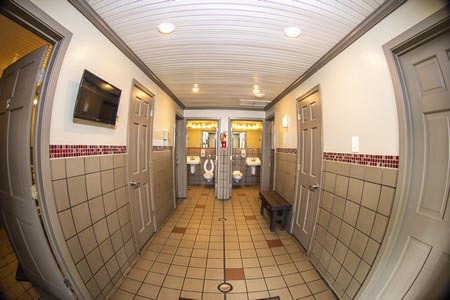 They include 22 Family Style Ultra-CLEAN bathrooms! Bath House #3 has 2 rooms to allow for washing kids and those needing assistance (ask at Leona’s for our key code). Everything’s done correctly here. The camping sites are a little tight. But they are Level sites. The people are the tops. The facilities and laundromat are great. You will be pleased to hear. Great sunsets here.